We all love a bit of the famous Great British Bake Off, particularly the staff at Jobwise! So when we were debating how best to celebrate ‘World Heart Day’, the most popular choice of activity was to get our Bake-On for charity. The charity of choice, The British Heart Foundation, seemed a more than worthy cause. Therefore a heart theme was a must for the competition. 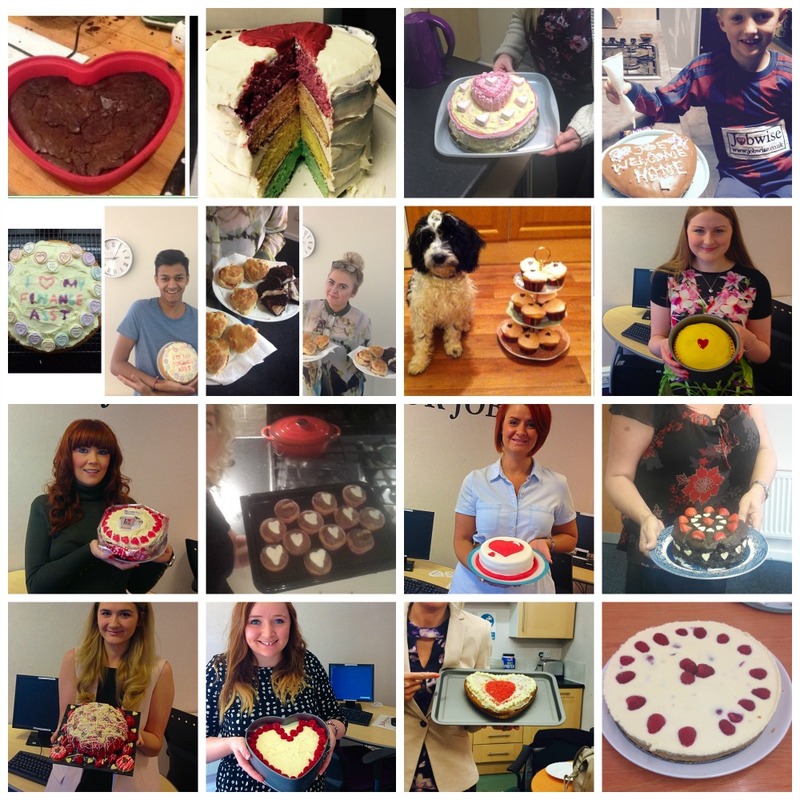 All 3 of our branches, Liverpool, Bolton & Stockport took part with a total of 20 baking wonders being entered. Everything from house-sized cheesecake, scones and hearty Victoria sponge. We held jobs open days for our candidates on the day of the Bake-Off which meant not only the offices and staff were covered in cake, but the candidates too. We think cake is the way forward for all job seekers! After a feast lasting early am to late pm, the votes were in from our Facebook page. It was a close call but we managed to pull a winner from each branch. They each celebrated with a lovely early Friday finish. All money raised from our Jobwise Bake-Off & dress down day on the 25th September will go to the British Heart Foundation. Thanks to everyone that donated & voted. Watch out for our Halloween shenanigans!